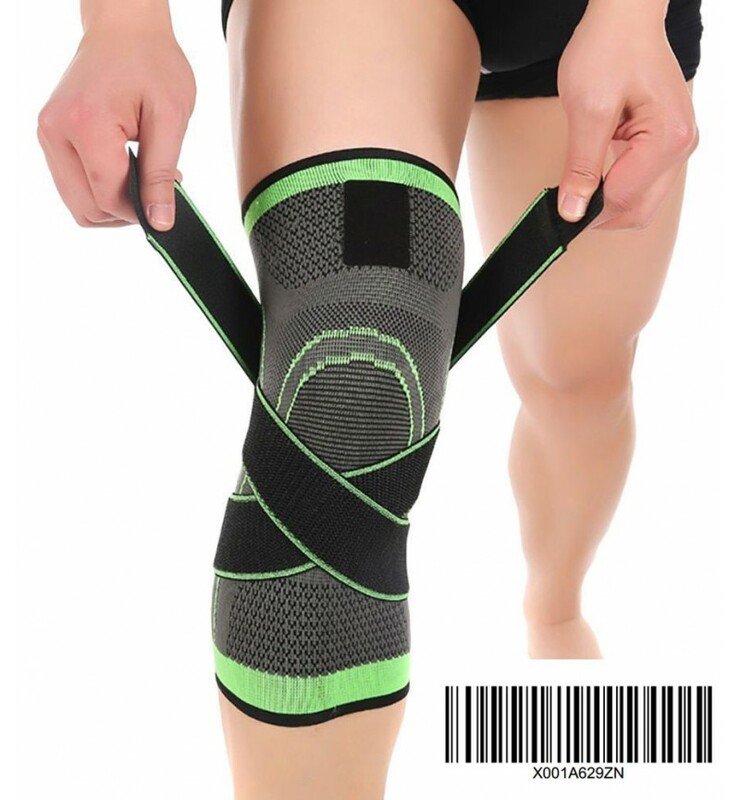 COMPRESSION - During the movement reduce pressure, shock, swelling,soreness,stiffness and warm your muscular helps recovery. SPORTS - Improves your blood circulation. 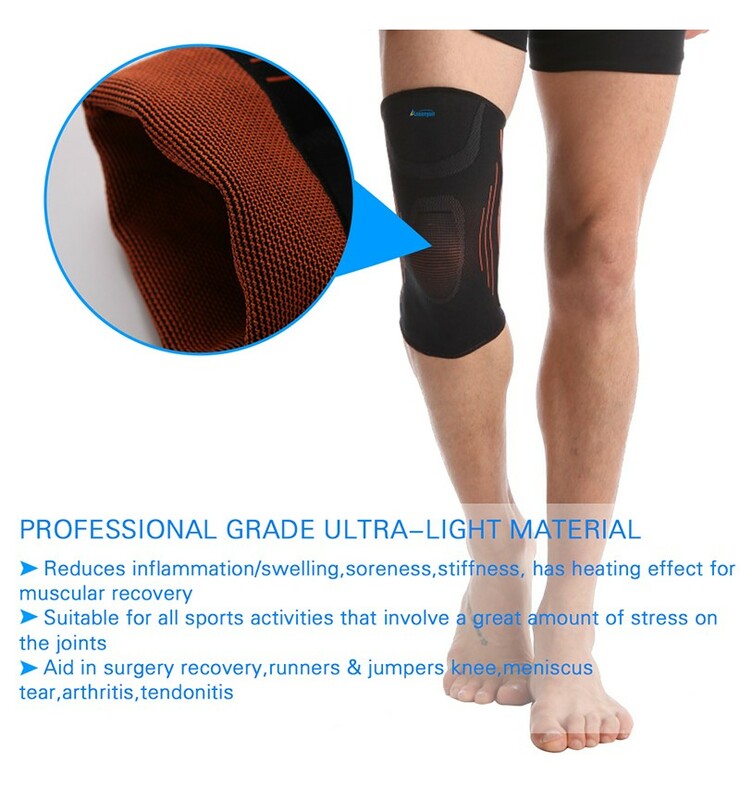 prevents pain from a Torn Meniscus, Sprain or Strain. MATERIAL - Premium elastic Mixed fabric Nylon and Spandex. Breathable, moisture wicking. prevent bacteria from breeding. 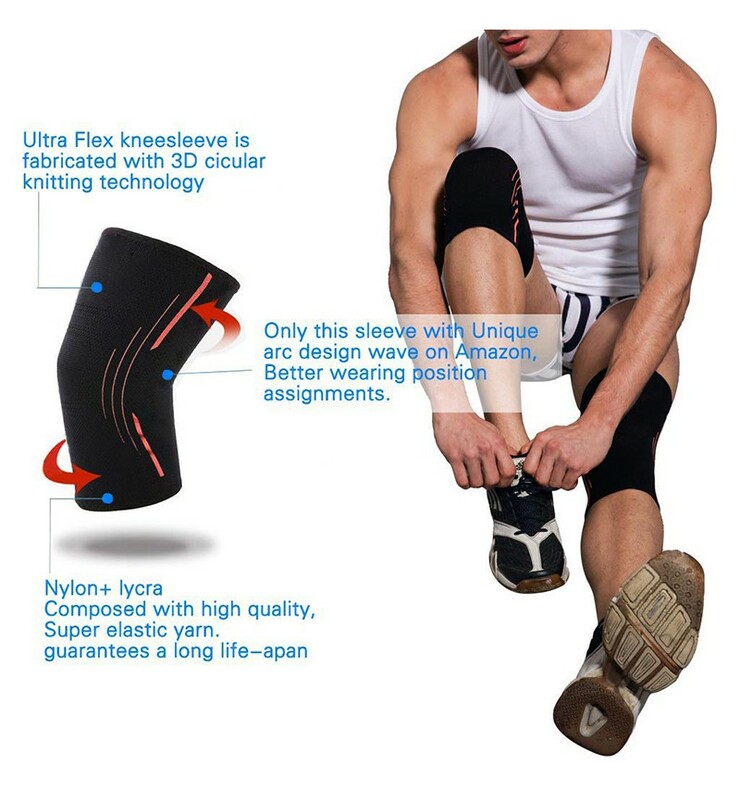 Keep your knee dry in day. 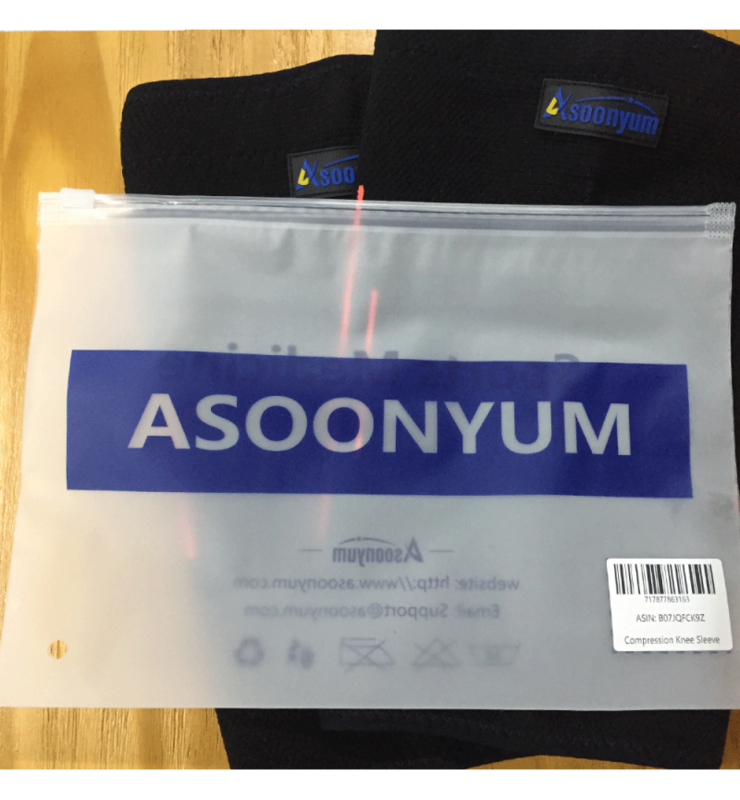 Non-slip - No matter what you do, ASOONYUM Knee supports built-in Double silicone anti-slip system, ensuring your sleeve stays always put, Not easy to roll down, protecting vulnerable knees. 2 pcs Sleeve and Breathable a Portable Bag in the retail box.Who's need? 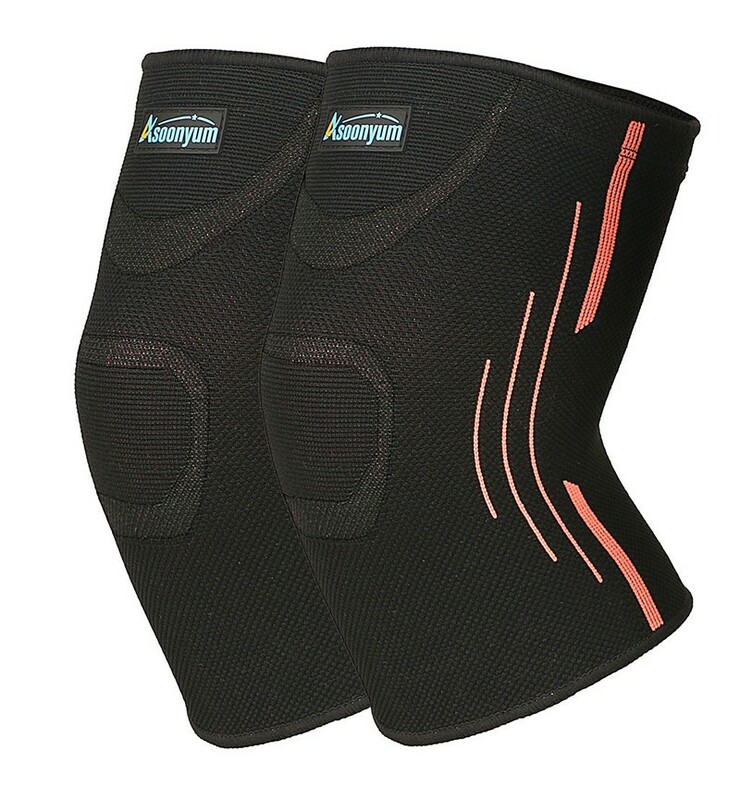 For basketball,baseball,rugby,football,soccer,tennis,hiking,skiing,cycling,running,squats,weightlifting, yoga,fitness,ect.